A PPG is a group of patients who work with practice staff and meet at regular intervals to decide ways of making a positive contribution to the services and facilities offered by the practice to patients. 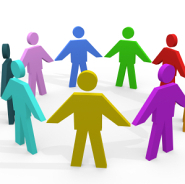 Wider participation in the group is also sought by becoming a “virtual” member of the group where opinions and suggestions are captured via email. If you would like to join the PPG please pick up a leaflet and complete a form at the Practice, speak to a member of staff or email the PPG Chair at patparg1@aol.com.